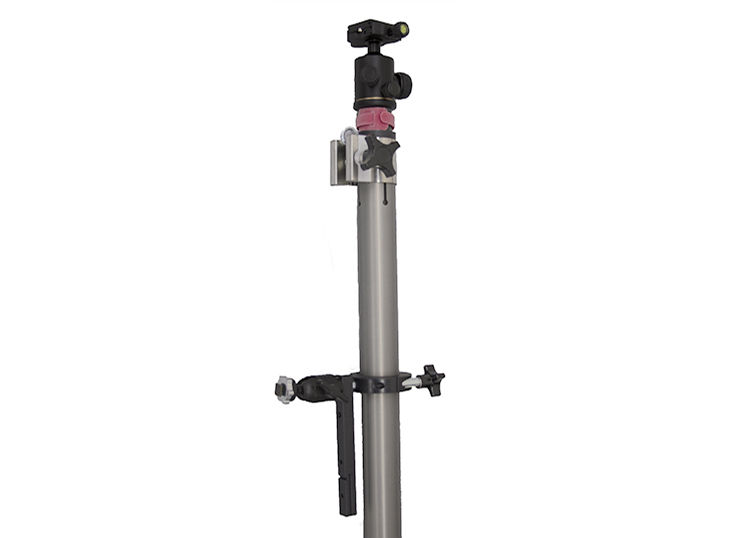 The Quick Scope 16' is a manually controlled pole that allows coaches to quickly and easily get elevated film. This system is designed for practice drills, 7 on 7, and following the line of scrimmage on game day. Everything you need is included: an HD camera, 8" HD monitor, cables, extended batteries, camera memory, rain gear, hard case, and travel bag. In addition, the 16' system comes with a stabilizer that helps steady the pole while it is fully extended, guaranteeing high-quality film. The Quick Scope is a highly durable, simple-to-use, American-made extendable pole with ground stabilizer. Hold the pole at your desired position on the field and swivel and tilt to follow the action. The Sport Scope is the only endzone camera that comes standard with a high definition monitor and a long lasting battery to power that monitor. This battery will power your HD monitor for 5-6 hrs and also comes with a 12v adapter that can be plugged into a power outlet for unlimited use. 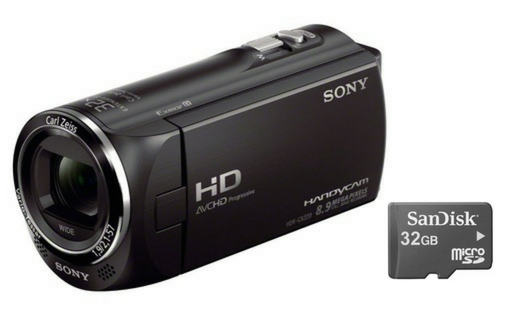 Each Sport Scope end zone camera comes standard with an extended battery for the camcorder. This battery lasts 6 hrs, which will allow you to film several games with your end zone camera on one charge. 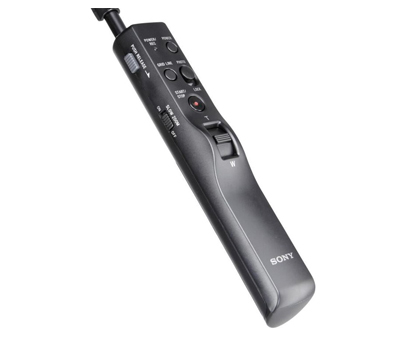 The Sony camera remote allows the user to zoom in and out as they record with their endzone camera. You can also turn on/off the camcorder with this remote, which means you can conserve battery during halftime, between quarters, etc. The user can also put the camcorder in record or standby mode, allowing for the operator to only record the plays they want. This allows for smaller, more precise clips of only the action in the plays, which cuts down on transfer and analysis time. The camera mount screws onto the top of the Quick Scope pole, swivels 360 degrees, and tilts 90 degrees which allows the operator to get the exact camera angle they need. 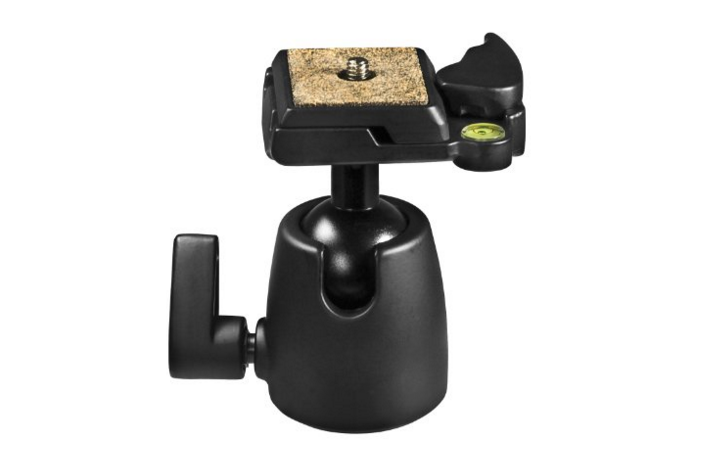 The camera mount also has a quick release plate that makes securing the camera quick and easy. 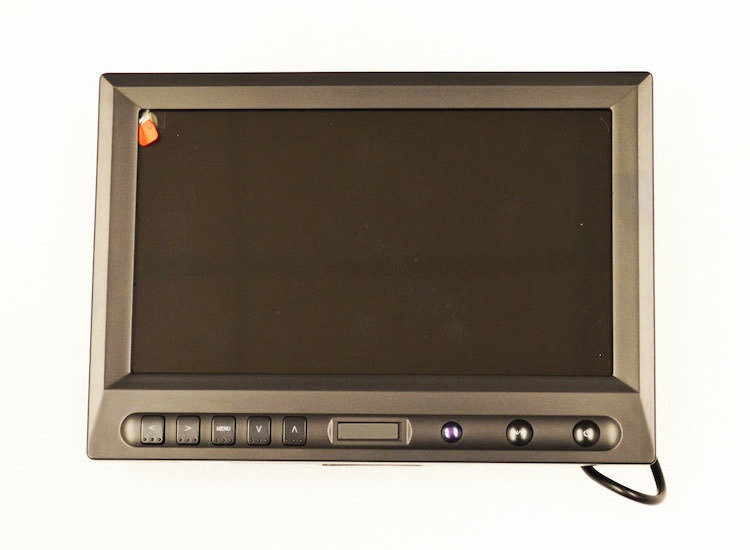 The Quick Scope comes standard with a 8" High Resolution LCD monitor for the clearest viewing possible. The monitor connects to the camera with a 12' cable and fits onto an adjustable mount which allows the operator to change the height of the monitor. The hard case protects and organizes all the important electronics that make up our complete end zone camera package. The hard case is an important part of our system because it ensures that the most vulnerable parts of the endzone camera are always safe and accounted for. 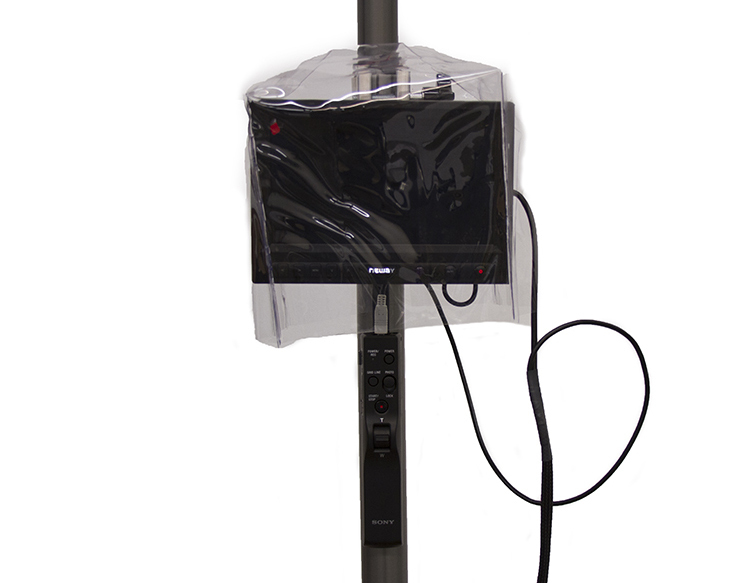 A waterproof plastic cover for the monitor, monitor battery, and Sony camera remote. This cover easily slips right over the monitor to protect your electronics during wet conditions. 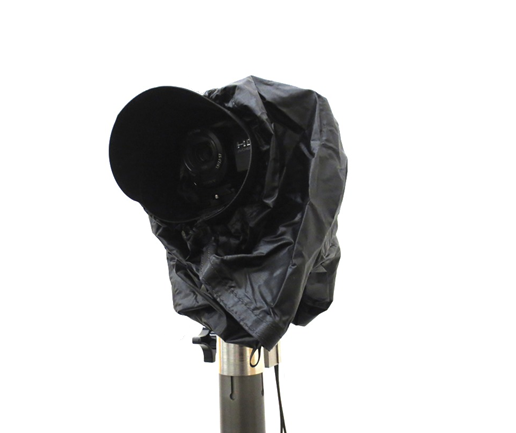 A lens cover provides protection from any adverse weather, and a waterproof cover protects the camera, the camera swivel mount, and the cable connects. 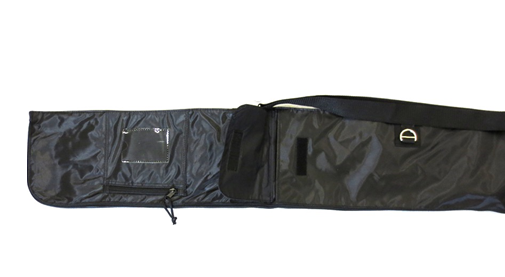 The travel bag houses the Quick Scope pole, cable, and rain gear. 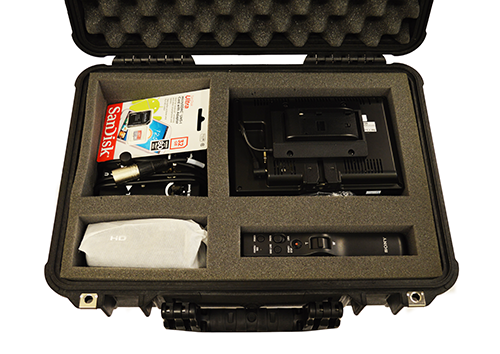 The electronics are housed inside the hard case for extra protection. The travel bag has two shoulder straps for easy transportation, is approximately 76" x 6", and fits inside most vehicles. The Quick Scope has one cable with two connections at the top and two at the bottom making setup very simple. The top connections consist of a cable for the video feed and a remote cable for camera controls. 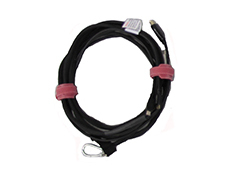 The cable is 12' long and is covered with an abrasion resistant sleeve to improve the longevity of the cable. Each Quick Scope 16' comes with a stabilizer to help steady the pole while it is fully extended. The stabilizer folds up like a mini tripod and it easily fits into your travel bag.